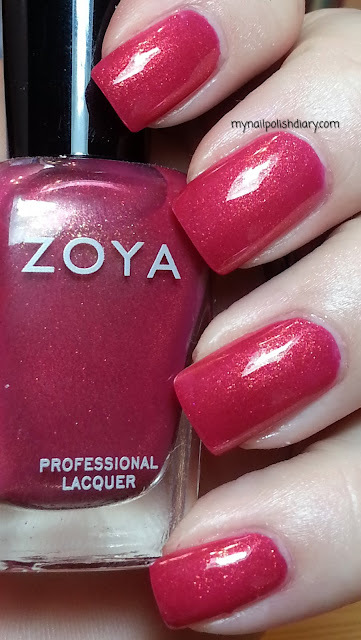 Zoya Mieko was released in 2008 in the Fourish holiday collection. Zoya Mieko is a deepy rosy pink with gorgeous golden shimmer. So pretty! It looks more like summer to me than holiday but heck! I don't follow the color/season rules anyway, so I don't know why I even commented on that :D It's a glass fleck kinda polish and I'm a glass fleck kinda gurl. That is all. This is so pretty!! Great mani and pix! I agree! Love this one. Thanks so much Arathael!